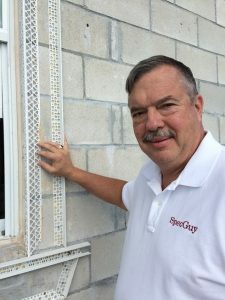 Partner and Director of Technical Services for SpecGuy, provides specification and technical consulting to industry firms, and teaches and promotes construction industry technical standards, certification programs, and continuing education. Phil has over 25 years’ experience in architectural specifications writing, contract administration, college instruction, project management, and construction. His articles and columns have appeared in several industry magazines. Partner and Director of Operations for SpecGuy, has over 20 years’ experience in Human Resources, training, managing projects and businesses, marketing and publishing. She provides specialty training for firms and organizations in presentation skills, AIA continuing education system requirements, customer service, strategic planning, and mentoring. For more information about how SpecGuy can provide your organization with exceptional construction specifications and education program development and training, contact our offices today at (704) 367-1991 or submit an inquiry via our web form. SpecGuy is a construction specifications consultant supporting architects, engineers and members of the construction industry with technical consulting, specifications writing and training solutions nationwide.